Athens Yoshukai is a traditional Japanese-style karate school in Athens, GA. They offer free schooling to adults only, believing that martial arts instruction is a basic life skill and, like academic knowledge, should not be charged for, as the student's improvement is of value to society as a whole. They teach not only the physical aspects of martial arts, but the mental ones as well, offering free seminar courses on everything from Japanese history to health and psychology. They also are avid brewers of beer, approaching the process of brewing with the same zen philosophy that guides the physical practice of karate. 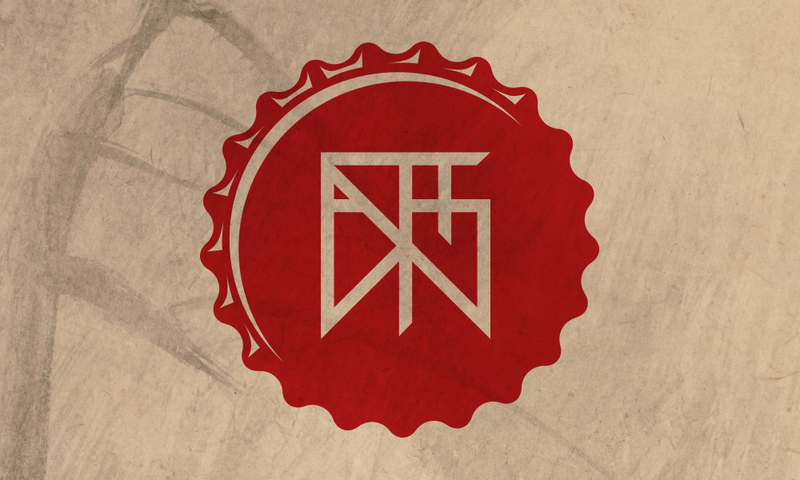 When approached to create a mark that could be used on various collateral for the school, I wanted to communicate both the traditional Japanese aspects of the school and the not-so-traditional aspects of a karate dojo that also functions as a brewery. To accomplish this, I created a word mark that at first appeared to be a Japanese Kanji symbol, but after closer inspection revealed itself to be Latin ("English") text that is arranged in such a way as to appear Japanese. This collection of letters spells out "Athens" when decoded, and is placed within a bottlecap shape as a nod to their dojo-brewing ways.